Vegas is always trying to outsmart the bettors, so that line will definitely change. It probably wouldn't hurt for us a lose a time or two prior to the tourney so we can regain some focus and intensity. The past few games we have seemed to coast. A loss to a top 10 or maybe top 5 team on the road would be the best time/place to do it. Dont get me wrong, I'd rather win every game, but if we were going to lose a game, this game would be way better than in the SECT or NCAAT, and maybe provide some motivation come tourney time. Sounds right. They will be top 5 and are demolishing teams. And home court. Vols are already cemented as a legitimate NATIONAL TITLE CONTENDER even if they lose at Lexington and even a couple more games this season. A win in Lexington will be HUGE for late season confidence headed into the tourney season. A loss could have even a greater effect on motivation. This is a huge game but not a must win (outside of my personal desires) in the grand scheme of things. The Vols have nothing to prove and I think the pressure is on UK. 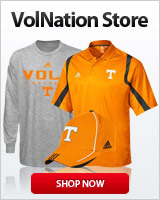 Vols have been #1 for many weeks now and a veteran team. Vols have beaten Gonzaga and SHOULD have beaten Kansas when they were a much better team than when UK beat them. I would’ve guessed 3.5 so that’s not surprising...could see that line moving up to 5 or 6 as it gets closer. Someone has to prove they can beat us. No one has done so since early in the season so let's not start surrendering before we get there. who said anything about surrendering? In fact, I clearly said I want to win them all. But looking at our remaining games, the fact its a Rupp, and the approach of our team the past few games, it would not surprise me if we lost. It also wouldn't hurt us. Tennessee is the better team. Fix'd ur post fur ya. Bad officiating could ruin Tennessee’s offensive & defensive rhythm. Rupp will be loud and they’re going to want to see an upset. i would guess they azz going down. Tennessee has the best 8 in the SEC including UK. If experience becomes a factor we know how that will tilt. I know our guys want to win this game and will be ready. I will watch in awe! No sense in saber rattling, this game is big enough on its own. Big TV audience, great for recruiting. Well, technically since they are favored, I am completely good with an upset !! They’ll probably get us a rupp , but Tennessee should beat them by 5-10 points in Knoxville.